Wadesboro – Mr. Hoyt Patrick "Pat" Taylor, Jr. passed away peacefully on Sunday, April 22, 2018 at his home in Wadesboro.He was born in Wadesboro, NC, on April 1, 1924 to Hoyt Patrick Taylor and Inez Wooten Taylor. Although born on April 1, he was no April fool. He was a dedicated and lifelong public servant whose life embodied the essence of North Carolina’s motto, Esse quam videri. Although he was happiest when he was at home in Anson County with the people he loved so much, throughout his travels he never met a stranger and greeted every person as though they were lifelong friends. He strongly believed in the equality of all people and stood for what was right rather than what was popular. On St. Patrick’s Day, 1951, he married his greatest love, Elizabeth Lockhart Taylor. They were married 64 years prior to her death in 2015. 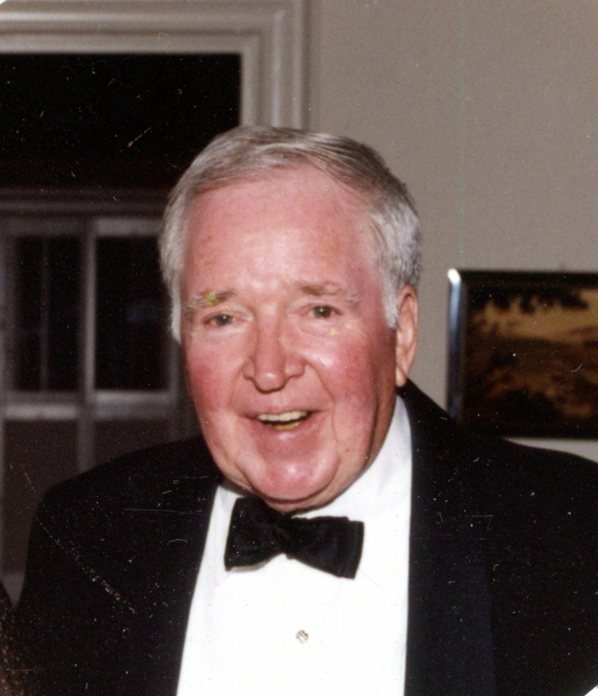 Pat received his bachelor's degree in 1945 and law degree in 1948 from the University of North Carolina at Chapel Hill. After serving in the US Marine Corps during World War II and the Korean War, he practiced law for many years in Wadesboro, always referring to himself as ‘just an old country lawyer’. Pat served in the North Carolina House of Representatives from 1955-68 serving as Speaker of the House of Representatives from 1965-67.In 1968 he was elected Lieutenant Governor of North Carolina and served until 1973.Pat and his father, H.P.Taylor, Sr. have the distinction of being the only father and son to be elected Lieutenant Governor of the State. In 2005, Pat wrote “Fourth Down and Goal to Go”, an anthology based on his personal and political experiences in North Carolina. He was awarded the UNC School of Law Distinguished Alumni Award for “Distinction Beyond Professional Excellence” and the recipient of the Judge John J. Parker Award, the highest award given by the North Carolina Bar Association, “for conspicuous contributions to the cause of jurisprudence in North Carolina”. Pat served on numerous boards and committees including the Board of Trustees of UNC-CH, the General Alumni Board of UNC-CH, the Board of Governors of UNC, Board of Trustees of UNC-G, Chairman of the Board of Trustees of Blue Cross Blue Shield of North Carolina and as a Director of Anson Bank and Trust Company.He was a Rotarian, a 32nd Degree Mason, and a member of Calvary Episcopal Church in Wadesboro.Pat was also a lifelong member of his beloved Democratic Party. He was preceded in death by his wife, Elizabeth Lockhart Taylor and his brother, Frank Wooten Taylor. He is survived by his three children: Elizabeth Ann Taylor (Ben Gullette) of Chapel Hill, Hoyt Patrick Taylor III (Katie Reilly) of Chapel Hill, and Adam Lockhart Taylor (Paige Dosser) of Raleigh. Also surviving is his sister, Caroline Taylor Craig of Wichita, Kansas and four grandchildren: Kathryn Ann Taylor, Hoyt Patrick Taylor IV, Elizabeth Louisa Taylor and Virginia Lockhart Taylor. The family will greet friends on Tuesday, April 24th from 5:00 to 7:00 pm at Leavitt Funeral Home in Wadesboro, NC. Services will be at the First Baptist Church in Wadesboro on Wednesday, April 25th at 11:00 am with a graveside service in Eastview Cemetery, Wadesboro, immediately following. Leavitt Funeral Home is in charge of arrangements. Online condolences may be made at www.leavittfh.com.